4 bintang Ini adalah akomodasi Preferred Partner. Mereka berkomitmen untuk memberikan pengalaman positif bagi tamu, karena layanan yang luar biasa dengan harganya yang kompetitif. Mereka mungkin membayar Booking.com sedikit lebih banyak untuk bergabung program ini. Dapatkan harga murah untuk Adria Mobile Homes - tamu memberi nilai 8,7. 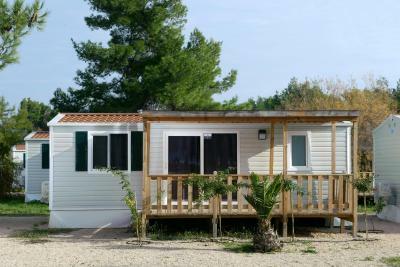 Location, mobile home is in the shades, while te beach is few steps away. Our host Marjana was great, very kind and helpful. We were second time here and our stay was excellent - Marjana is a great host, very helpful and very kind. Beaches, grocery store and restaurants are few meters away. Nearby are also great Dalmatia Aquapark, beautiful fortress of St. Nicolas and city of Sibenik (10km) with many cultural and festival events. Sibenik it is possible to reach by car, taxi or uber. National parks Krka and Kornati is easy to reach from the camping place. Location next to the marina resulted with a great view to the water! Marjana, our mobile home agent, was very nice and helpful. Mobile home was well equiped. It was close to the beach, pool was also a good choice for a child. Good location of the camp if you like to travel around. Mobil homes were new, clean, with comfortable outdoor furniture. Only 3 minutes from the beach, which was not full of people. Our agent Marjana was wery helpfull. New and modern equipped mobile home. Very good whole resort. The location is amsing! 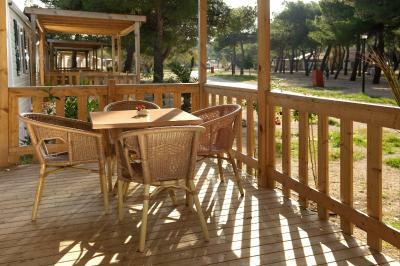 Next to the sea, beautiful beach, with a plenty things to do in the resort. Skvele misto, kousek od plaze. Cisto, rucniky meneny behem pobytu. Delegatka velice prijemna a ochotna. Vhodne pro rodiny s malymi detmi. Esperienza da non ripetere. Molto scarso il rapporto qualità prezzo per la Croazia. 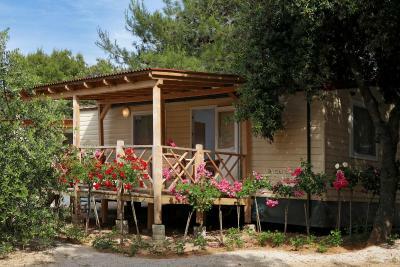 Salah satu pilihan utama kami di Sibenik.Set a short walk from a beach and surrounded by a pine tree forest, Adria Mobile Homes are situated in Šibenik area, in Solaris Camping. 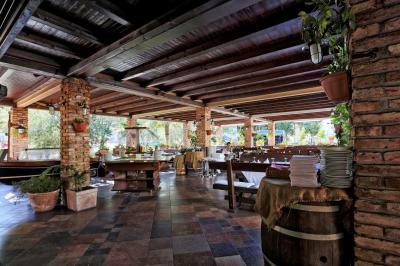 The guests can have a meal at the on-site restaurant or have a drink at the bar. Free WiFi in public areas and free parking are provided. 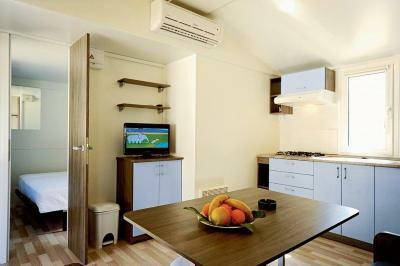 All units are air-conditioned and offer a furnished terrace. Each has a seating and dining area as well as a flat-screen TV. 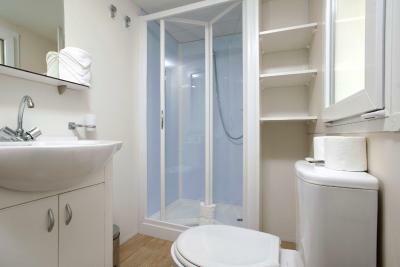 A kitchenette with a microwave, coffee machine and fridge comes with each The bathroom comprises a shower. Linen and towels are provided free of charge. For an additional fee, guests can enjoy the water park with an outdoor swimming pool, book a massage treatment or relax in the sauna or hot tub. Grocery delivery service is available as well. On-site sports facilities include tennis court and mini golf course, while the area is popular for snorkeling and windsurfing. Bicycle rental and car hire service are also offered on site. Adria Mobile Homes is 3.2 km from Fortress of St. Nicholas. Featuring Cathedral of St. James, Šibenik Old Town is 6 km away. Split Airport is at the distance of 54 km. 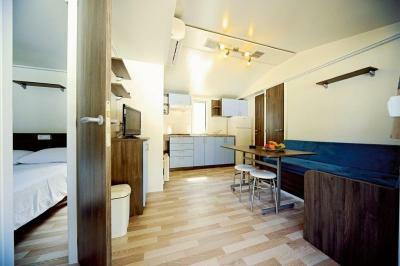 Adria Mobile Homes telah menyambut tamu Booking.com sejak 16 Jun 2016. Bagus buat pasangan - mereka memberi rating 9,0 untuk fasilitas menginap untuk dua orang. ATM dan Money Changer: Perlu uang? Ada ATM dan money changer di akomodasi ini. Kapan Anda ingin menginap di Adria Mobile Homes? 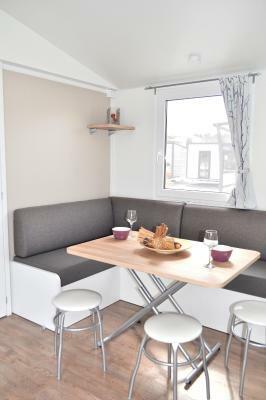 This air-conditioned mobile home offers a furnished terrace. There is a seating and dining area as well as a flat-screen TV. 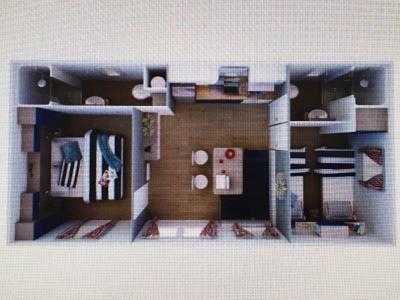 A kitchenette with a microwave, coffee machine and fridge is included. The bathroom comprises a shower. 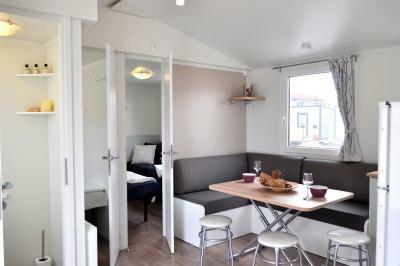 This air-conditioned mobile home comprises a furnished terrace. A seating and dining area are included as well as a flat-screen TV. 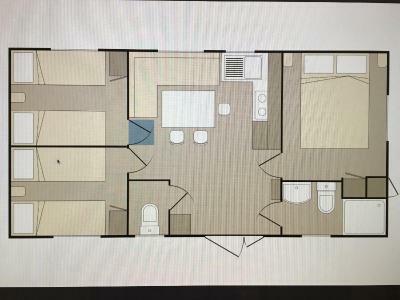 There is a kitchenette with microwave, coffee machine and fridge. The bathroom comes with a shower. Gratis! Wi-Fi tersedia di pusat bisnis dan tidak dikenai biaya. Aturan menginap Adria Mobile Homes menerima permintaan khusus - masukkan di langkah berikutnya! Adria Mobile Homes menerima jenis kartu ini dan berhak memblokir jumlah tertentu secara sementara sebelum kedatangan Anda. Harap beri tahu pihak Adria Mobile Homes terlebih dahulu mengenai perkiraan waktu kedatangan Anda.